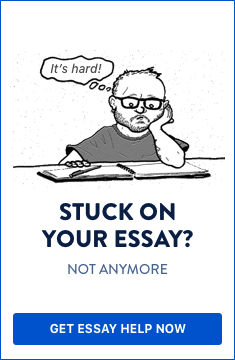 In a rhetorical analysis essay you need to break the work of a writer, author or an artist into several parts and explain each of the individual parts in details, taking the entire work in background. While explaining, it is important to focus on how the author uses certain techniques, both literary and non literary to influence the target audience and not the topic itself. For example, if the author has written a book on the evils of polygamy in certain societies, then you need to explain how he uses the words and other expressions to make his point to the audience. You don’t have neither to support nor disagree with his views on polygamy. A rhetorical analysis essay can be written on a piece of prose, poetry, an article, cartoon, advertisement, artifact or any other thing that has a certain bit of rhetoric associated with it. First, you need to analyze the material (text, speech, poem, prose, artifact, etc.) and then explain its context. You also need to introduce the author along with his/her background, i.e., nationality etc. If possible, you should also try to introduce the age, occupation, gender, etc. of the author so that it will help you in making a better analysis. Try to relate all the information mentioned above with your own understanding of the material that you are going to refer in the analysis. For example, you may find that in a prose, an author has sarcastically criticized something. Try to find out the details of the author from the sarcasm. Does he/she make any bias or is the tone overzealous? Do you find that the author is trying to make only his point and the language looks like as if someone is imposing his or her views and thoughts directly on the reader/audience? Is there any personal message being evoked by the author in his or her material? After making a note of the author and his/her writing characteristics, you now need to identify the target audience in the next step of your rhetorical analysis essay. What is the intended target audience? Is it housewives, working women, college girls, single parents, or a particular religion, country or tribe, etc? You need to identify for whom the author has written the material. Do you find yourself a member of that group? What preconceived ideas and notions does the author have about the target audience or group? Can you identify the places where the author makes them explicit? Is the author correct in making those notions about the target audience? What are the ways and methods employed by the author to transmit them to his/her audience? After you have identified the details of the audience and the author’s presentation style, you now need to find out some information on the material on which the author has written. For example, what is the exact issue or subject of the material/topic that the author has put up in his/her work? What exactly does the author want to prove or convey by taking the example of that particular material or topic? You also need to find out the strategies and structures employed by the author in describing the matter/topic to his/her audience. What kinds of evidences, details or examples are presented by the author in conveying the message to the audience? Has the author taken into consideration all the angles while presenting the topic or matter, or just a few sides? What might be the possible reasons for the author in taking all the sides/omitting a few angles in the presentation of the matter/topic/issue to the audience? Does the author use all three elements: ethos, pathos and logos, or just one or two of them in capturing the audience’s attention on the topic/issue? Here, ethos means appealing to ethics, pathos means appealing to emotion and logos means appealing to logic. These are the three main ways by which any writer or author tries to convince or appeal to the audience on any particular matter, subject, issue or topic. After you have identified the methods of appeal, you need to find out the purpose of the matter. What is the author/writer exactly trying to do? Is he/she trying to persuade the audience or entertain it? Or is the author trying to inform the audience? It might also be that the author wants to inspire the audience to believe in something. How do you know that? What evidences can you point out in claiming your findings? Does the author use any specific strategy to accomplish it? Has he/she been successful in achieving it? Why? Why not? What particular style or tone does the writer/author use in making his/her point to the audience? Has there been extensive use of sophisticated language(s) by the author or has he/she used simple, everyday language in expressing the matter? Is there any reference to any special figures or facts in expressing the point? Has the author used anecdotes, dialogues or quotes to make his/her claim? Is there any sign of personal narrative in the work? Has figurative language been employed to make any point or claim? Has the writer used bitter, humorous, angry, or passionate tone to make his/her point? Does the use of such tone actually help in conveying the message(s) to the audience or does it cause an opposite effect? Does the writer alienate the audience by providing strong personal opinions in presenting the matter? Does the tone cause humiliation, anger or resentment among the audience or does it make the audience agreeable with the author’s point? And above all do all these techniques have any relevance or effect to the understanding of the audience, i.e., do they assist in a better explanation of the writer’s point or claim? When you consider all the points mentioned above, you can start writing them in a coherent and clear way, which will form the analysis on the rhetoric that you have just read. Finally, you need to write a small conclusion, which summarizes your main findings and claims in the end. If you follow the above instructions, you will be in a better position to write a good rhetorical analysis essay.